Forests are found all over the world in many different climates. From the rainforests of South America to the evergreen in Germany, the mangrove forest in India to the redwood in the USA, a huge variety of animals call the forest their home. In this wonderful hardback book by Robert Hunter, little readers are introduced to ten different forest habitats with the turn of each page and the diverse variety of creatures that live there. Listen out for the call of over 60 separate wild animals as beautifully illustrated forest scenes magically come to life with the press of a button. Hear the grunts of gorillas, the growl of a lynx and squawks of macaws, among other fascinating sounds. Learn interesting facts about wildlife, but also how forests have an important role to play in our environment too and how we need to protect them for future generations. 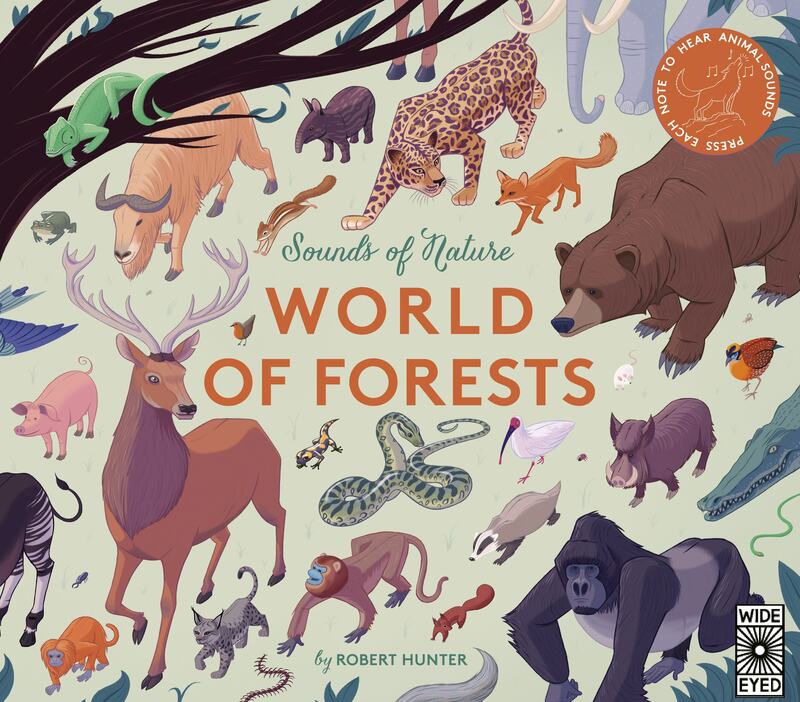 Sounds of Nature – World of Forests by Robert Hunter.